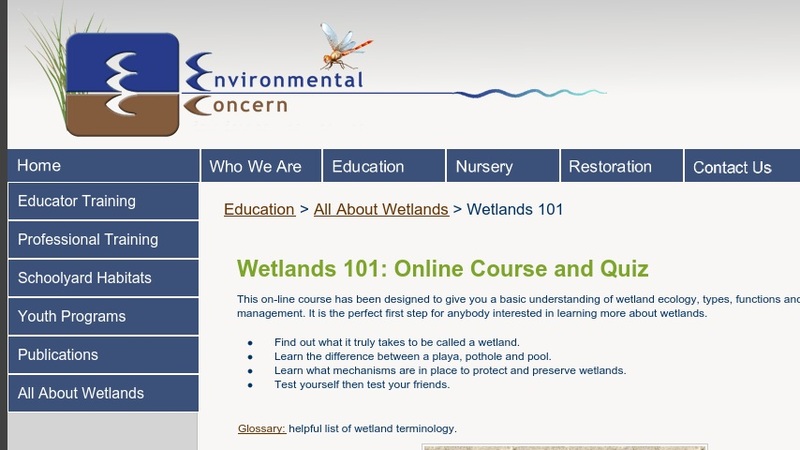 This online course provides an introduction to wetland ecology, types of wetlands, wetland functions and values, and wetlands management. Topics include how a wetland is defined, wetland hydrology, seasonal and other fluctuations in water levels, and wetland soils and plants. The course consists of a series of slide presentations with self-quizzes and an online final quiz. Registration and log-in are required.